The efforts to reach the 15 miners trapped in an illegal coal mine in the East Jaintia hills of Meghalaya since December 13 continue, but they began belatedly and have faced many problems. First, the Meghalaya government has no idea what happens inside these rat-hole mines, which are barely 2 ft wide, since mining is a private activity. Despite the National Green Tribunal ban of April 2014, mining continues in the State. Second, it was unfortunate that the district administration assumed the miners to be dead on the very day of the tragedy. This assumption was evident in the letter written to the National Disaster Response Force. It was only after a Delhi-based lawyer, Aditya N. Prasad, represented by senior Supreme Court advocate Anand Grover and his team of human rights lawyers presented their suggestions to the court that the Meghalaya government got different actors to the accident site. Mr. Prasad has never visited Meghalaya. When asked why he is the petitioner on behalf of the miners, he simply said: “They are fellow Indians and my brethren.” That someone based in Delhi should have the empathy lacking in the people and the government shows that humanity is a dying virtue. Mr. Prasad has done everything possible to put things together to assist the rescue mission. But despite his initiative, things were delayed. The distance of the mine, for one, was a major hindrance. Then there are other issues that need to be highlighted. The trapped miners were being racially profiled in the minds of the people and the state. Of the 15 miners, only three were locals from the nearby village of Lumthari. The rest were Muslims from Garo Hills, Meghalaya, and Bodoland, Assam. Their socio-economic profile also worked against them. They were the poorest of the poor who took a huge risk to enter a mine and dig for coal without any safety gear. When a mine is flooded, the immediate response, apart from pumping out the water, is to stop further flow of water into it. This requires a hydrologist to scientifically map out the area from where water entered the mine. Sudhir Kumar, a hydrologist from the National Institute of Hydrology, Roorkee, arrived only two weeks after the disaster. So did the divers from the Indian Navy and the 100 HP water pumps from Kirloskar Brothers. The remotely operated underwater vehicle (ROV) from Planys in Chennai came three weeks later. So did the geologists from Hyderabad. All these delays happened because there was no one person or agency to coordinate the rescue mission. This shows the kind of disaster preparedness we have in our country. One shudders to think what the response would be if there was a massive earthquake in the Northeast, which is listed as Zone 5 on the seismic scale. There are many questions that arise with respect to rat-hole mining of coal. One, why does the state allow this archaic mining system, which has complete disregard for human life and safety? And two, why is Meghalaya exempted from national mining laws? Rat-hole mining, which started with gusto in the 1980s, has poisoned three rivers in the Jaintia hills: the Myntdu, Lunar and Lukha. Scientists from the North-Eastern Hill University have found that these rivers have very high acidic levels. Reports from other agencies suggest that pH of the water and sulphate and iron concentrations indicate significant deterioration of the rivers. Acid mine drainage from abandoned mines was a major cause for water pollution in the areas investigated, the reports added. The coal mine owners have been hiring the best legal brains to argue for them in the highest court of the land. They say that rat-hole mining should continue because no other form of mining is viable (which means that their profit margins would reduce if other forms of mining were to take place). They argue that the NGT ban should be lifted. They claim that coal mining provides livelihoods for many, but at what cost? The tribes of Meghalaya are divided on the issue of rat-hole mining. The fault-lines are clear. Those who care for the environment and for a future for their children and grandchildren have been clamouring for an end to the practice of rat-hole mining and reckless limestone mining. On the other hand, the mining elite have mobilised forces to demonise environmental activists. A community of just over a million is now fragmented. To add to these woes, cement companies also release their effluents into the rivers. So we now have a deadly cocktail of pollutants being released into the environment. The scale of the problem is clear in this one fact: there are 3,923 coal mines in one district with a geographical area of 2126 sq. km. The other troubling factor is that coal mine owners are insisting that since Meghalaya is a State under the Sixth Schedule of the Constitution, national mining laws should be exempted here. The Sixth Schedule was enacted to protect the community rights of tribals from any form of exploitation of their land and resources. How can it now be used as an instrument to protect an activity that is a private enterprise, that is inhuman, and that violates Article 21 of the Constitution? Why is the Sixth Schedule unable to protect the forests and rivers that are common property resources? Acid mine drainage has rendered even agricultural land non-productive. Mine owners do not care about environmental degradation. The cement giant, Lafarge, mines limestone from Meghalaya’s East Khasi Hills district and transports it to Chhatak in Bangladesh via conveyor belts. The Supreme Court placed a heavy penalty on Lafarge and asked it to strictly implement environmental laws apart from generating livelihoods for people residing within 50 km of the mining areas. In the case of coal mine owners, there are no such strictures. They have left thousands of abandoned mines as human graves. The State does not insist that they reclaim and afforest those mines. In 40 years of mining and profiteering, the mine owners have till date not constructed a single hospital or even a school. There is complete disregard for corporate social responsibility because the mines are privately owned by the tribals. How long can the Central government and the highest court of the land allow this to carry on in one part of the country when strict laws are applied elsewhere? In appointing his sister Priyanka Gandhi Vadra as a general secretary of the party, Congress president Rahul Gandhi probably calculated that the benefits outweighed the risks. While the BJP lost no time in decrying the move as another instance of dynastic politics, the high-stakes manoeuvre could lift the profile of the Congress as a serious contender in the general election. In Uttar Pradesh, where it has been left high and dry in the seat-sharing deal between the Samajwadi Party and the Bahujan Samaj Party, it sorely needs a dramatic turnaround in political fortunes. While her formal induction into politics may have been prompted by a number of factors, including the ill-health of her mother, former Congress president Sonia Gandhi, the charge of eastern Uttar Pradesh was surely meant as a signal to the SP and the BSP. Although her only previous formal role in politics was as the party’s campaign manager in Amethi and Rae Bareli, constituencies of her brother and mother, Ms. Vadra is high on charisma quotient, that intangible but nonetheless real quality that saw crowds gather in the party’s pocket boroughs. The Nehru-Gandhi lineage aside, Ms. Vadra commands a stage presence, helped no doubt by a resemblance to her grandmother Indira Gandhi. Whether she will take her mother’s place in Rae Bareli is not clear as yet, but this is a suggestion that there could be a long-term role. In many ways, the nomination is an admission of the party’s over-reliance on the family, but to the credit of Mr. Gandhi, he has been engaging in wider consultations within the party on important decisions. The Congress is still a centralised party, and Mr. Gandhi is routinely authorised to take the final call on all matters big and small; but, equally, he has also shown the ability to step back in a spirit of accommodation in dealings with allied parties. That he did not declare himself as a prime ministerial candidate of the Opposition was born of tactical necessity; even so, he has shown a fair amount of maturity in dealing with a wide array of allies. During the Manmohan Singh years, the Congress was able to counter, to an extent at least, the perception that it revolved around the dynasty. And the BJP may not find much political purchase in linking Ms. Vadra’s appointment to dynastic politics; there will be no surprise, however, if it starts harping on her husband’s allegedly murky land dealings, which had cropped up during the 2014 election campaign. What should engage the Congress is not what the BJP may say about Ms. Vadra, but what she can say and do for it. The party needs much more than a star campaigner; it needs leaders that can revitalise the organisation by presenting it as an alternative to the BJP. For that, it will have to come up with a truly inclusive, egalitarian vision that privileges all-round development above all else. Seasonal influenza poses a significant public health challenge for India every year. The spurt in infections during the first two weeks of 2019 cries out for an effective plan to contain it. Rajasthan, which had a big case load last year, is the worst-affected State in the current season, with 768 cases and 31 deaths as of January 13. There have been peaks in the country over the past six years, with the number of cases recorded by the Integrated Disease Surveillance Programme soaring to 42,592 and the death toll touching 2,990 in 2015. With better understanding of the nature of active viruses and the availability of a quadrivalent vaccine, State governments have no excuse for failing to sharply reduce the spread. Last year, the Union Ministry of Health and Family Welfare deputed teams to assist Rajasthan in containing the outbreak. It is pertinent to ask what preventive measures were put in place based on the experience. Large-scale vaccination covering high- risk groups such as health workers, people with lung, kidney, liver and heart disease, diabetics and the elderly could reduce the impact of the viruses in States such as Rajasthan, Maharashtra, Gujarat, Telangana and the National Capital Region, all of which had a large number of cases three years ago. A universal preventive programme should be considered at least for the future. 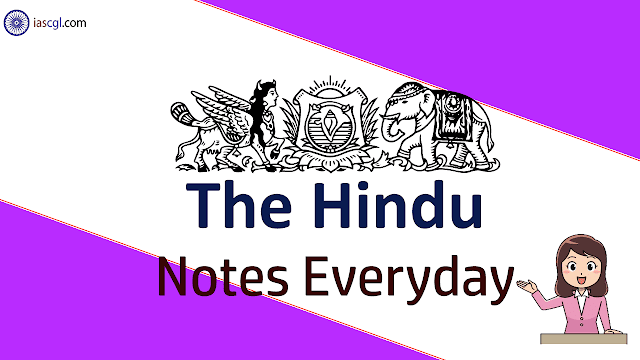 Last year, the Union Health Ministry put out an advisory on the right vaccine to protect against a known set of viruses, such as Influenza A H1N1, H3N2 and Influenza B. Yet, most public health programmes are not prepared for a mass adoption of the vaccine. Non-availability of sufficient doses of quadrivalent vaccine as well as profiteering on the demand have not been addressed. If a vaccine has proven efficacy in reducing the burden of seasonal influenza, it must be made part of the public health system. An umbrella scheme such as Ayushman Bharat can easily provide it to everyone using public and private institutions. Campaigns to educate the public through mass media ahead of the season, especially on respiratory etiquette and risk reduction, can help cut transmission. At the same time, upgrading existing vaccines requires a consistent effort to track viral mutations that take place periodically, and communicate the information to researchers through open access databases. There are 41 Virus Research Diagnostic Laboratories in India and they can study the nature of infections to provide genetic insights to peer scientists. This can help develop vaccines and remedies. When it comes to treatment, the availability of anti-viral drugs such as Oseltamivir in the public health system should be ensured. Seasonal influenza will, according to the WHO, continue to resurface. India must prepare for it with a comprehensive programme that covers all the States. There was much angst early this month about the disgraceful remarks that have been over the last few years at the Indian Science Congress (ISC) meetings, to the point where even the organisers felt the need to take a stand. This is unfortunate because the ISC has traditionally been a forum for scientists from all parts of the country to present their work. It is a forum where research that is grounded in rationality has always been given a hearing, even if it did not make it to peer-reviewed journals. The vast majority of Indian educational institutes actively discourage learning, not to mention research, and the ISC is the only venue where scientists meet their peers and get affirmation of their work. It is truly a shame that a handful have brought disrepute to the entire Indian science community, particularly to those at less favoured institutes who, if nothing else, spread scientific temper through their own actions to the broader community. The broader question to be answered here is whether the nation is undermining its scientific temper. The British understood that scientific temper would result in a questioning of their rule and preferred to keep their subjects subservient. It was only after Independence that the need for scientific temper was considered to be important. It was even felt that scientific temper should be protected as a fundamental duty. For Jawaharlal Nehru, scientific temper did not mean that everyone had to study science; rather, it was a way of thinking, a way to break the hold of superstitions by applying rationality and thought. Educational structures in ondependent India were to spearhead the transition of the nation from a people stifled by the medieval darkness of the British to a people united in the pursuit of knowledge and a search that would bring prosperity in its wake. Unfortunately, the vision of the giants of our freedom struggle foundered in a morass of mediocrity. Even those educated in the best institutes in the country never lost their superstitions. They studied modern science, used modern devices, achieved material prosperity and yet held the most regressive views. ‘God-men’ catering to the educated middle class have used the power of the media and social media to spread their superstitions and broadcast messages that should have been laughed at by those at the kindergarten level. It is now not only acceptable but fashionable for public figures to utter scientific nonsense. For instance, the Vice Chancellor of Andhra University, who represents the academics of not just his university but the country, feels no shame in talking about test tube babies in India’s ancient history at the ISC. This man holds important roles in the science hierarchy and yet no one in authority finds the necessity to comment on this, let alone punish him. Even the science academies are silent. One may easily conclude that scientific temper is not important to the government and, perhaps even more tellingly, to scientists. It is hard to know how to reverse this deterioration in scientific temper. While the Chinese are on the far side of the moon, Indians are busy treating cancer with cow urine and looking to the past for modern fighter jets. Funding for science is inadequate, the management of science is problematic, and the university system has failed. Teaching has become a political game in schools, with facts changing according to the government of the day. A few brave organisations, such as the Breakthrough Science Society (of which I am a part), are trying to break the chains of superstition, but they are lonely voices in the wilderness. From Jawaharlal Nehru to Narendra Modi, India’s Prime Ministers have been strong protagonists of science and technology and have believed that the well-being of the common man is vested in scientific temper. Nehru said: “Lots of people may not know, why such an emphasis is being put on science... this may not show immediate results, but will finally result in the upliftment of the country.” India’s second Prime Minister, Lal Bahadur Shastri, coined the slogan “Jai Jawan Jai Kisan (hail the soldier, hail the farmer)”after the war with Pakistan in 1965 to enthuse farmers and soldiers for the great task ahead, thus underlining the two core pillars of the nation. When India successfully tested the nuclear bombs at Pokhran, Prime Minister Atal Bihari Vajpayee declared India a full-fledged nuclear state. In his address, he enunciated his priorities for the nation by adding “Jai Vigyan (hail science)” to “Jai Jawan, Jai Kisan”. In this manner, the Indian government brought science to the centre of national discourse. Keeping up the legacy, Mr. Modi has also given extraordinary support to science and technology by further adding “Jai Anusandhan (hail research)” to the slogan. India is among the top 10 countries for scientific research, according to data released by Elsevier, a publisher of scientific articles and journals. There have been many indigenous programmes in scientific research. In space missions, India is counted among the top six in the world. India cannot undermine the dreams of 1.3 billion people, which can only be realised through science. Both Apara Vidya, or knowledge of the intellect, and Para Vidya, or higher knowledge, are inseparably embedded in the Indian psyche. Science has always been universal and neutral. Pseudo-intellectuals and people with unscientific beliefs masquerade as scientists to undermine Indian science. My opinion is that we should never burden our puranas and religious stories with India’s scientific achievements. Both have their own destinies and realms to fulfil. Aryabhata invented his astronomical theorems without the help of any modern instruments 1,500 years ago, which scientists were able to unravel with advanced equipment only in recent times. India’s greatest slogan, Vasudhaiva Kudumbakam (the world is one family), which is engraved in the central hall of Parliament, calls for acceptance and respectful coexistence. Keeping up with our traditions, the Indian scientific community should declare that science is for humanity, and should avoid looking at science through the prism of religion and beliefs. At the 106th Indian Science Congress, instead of focusing on the research findings of the three Nobel laureates, Avram Henshko, F. Duncan M. Haldane, and Thomas Christian Südhof, the media focussed on unimportant issues. The space for reporting their promising and positive thoughts was consumed by reports on the Kauravas and their “connection with stem cells” and the “missile technology of Lord Vishnu”. India will definitely march ahead with scientific vigour, indomitable courage and technology in the years to come. The legacy of science and scientific temper can never be undermined in India. The answer is complicated because the terms in the question are themselves ambiguous. The first ambiguous term is ‘scientific temper’. While much has been made of it, there is no clear definition of what scientific temper is. It may broadly refer to a scientific disposition (a way of knowing something), but that is a problem since ways of knowing in different sciences are quite different. For instance, the methods in physics, chemistry, biology, the medical sciences and engineering sciences are quite different. The scientific attitude in the ‘social sciences’ also has different characteristics from the scientific attitude in the physical and mathematical sciences. So which of these types of scientific temper are being undermined today? The second ambiguous term is ‘we’. Who is this ‘we’? If it includes all the citizens of the country, then we could ask: why should all citizens possess scientific temper? And who are the people who actually possess scientific temper? It could be scientists but surely it does not include all scientists in all their interactions with their family, colleagues and society? The third ambiguous term is the word ‘undermining’. What exactly is being undermined? If all the citizens had some notion of scientific temper, then we can understand whether it is getting undermined today for various reasons. But we do not even know who has scientific temper, nor do we know how it manifests in their interactions. So what is really getting undermined? And if people do possess scientific temper, is it so easy to undermine it? One could argue that if one possesses scientific temper, then it is not so easy to undermine it because its nature is such that it will not be easily swayed. Human truths cannot be reduced to matters of evidence and arguments alone. For example, even if all tests show a child to be lacking in some cognitive skills, it would not be correct to call the child an ‘idiot’. Human and cultural truths need mediation of ethical values such as compassion and respect. The lack of these in scientific temper is what undermines it firstly. On the other hand, it is important to have something similar to scientific temper in our public discourse. It is important to realise that public rationality — the ways by which we can discuss and dispute public matters in a public manner — needs some codes of conduct. For example, using anger to influence a position, or holding on to a view independent of what others say, or what the evidence points to are some examples of what we should not do. To be dispassionate about arguments that might be critical of one’s position or privilege is necessary. Being dispassionate, taking into account insights and information from different sources, and following an argument to its end even though its conclusions may not be pleasing to one are all characteristics of public rationality. If some scientists mistakenly want to call it scientific temper, thereby negating other influences on this attitude, then they are using this term in an ideological manner. The reason I resist the reduction of these characteristics to scientific temper is that a scientific attitude has an intrinsic problem with ethical and humanitarian values. Public rationality is one that has to be ethical and humanitarian since it is about decisions and relationship with other humans. We need this larger public rationality, which draws on some ideas of scientific attitude as well as those derived from the practices of philosophy, literature, social studies and the arts. Ms. Banerjee has often espoused the idea that the powers of the Central government should be limited to a few areas like external affairs and defence. Muhammad Ali Jinnah too had wanted it that way. It was something which the Congress along with communal electorates, had quite rightly rejected, paving the way for Partition in 1947. Promoting the federal idea now, merely to counter Mr. Modi, will be disastrous. Any more power to the States would mean making Central authority weaker. It is in India holding itself together that its constituent parts have the most to gain — a big common market with the free movement of labour, for instance. Realising this, even large regional parties like the DMK and the RJD, while not ready to cede power on home ground, have shown a strong preference for a Congress-led coalition to replace the Modi-led NDA. Constitutionally, India is a Union, not a federation, of States with a Central government empowered to intervene in State affairs in several ways and even split them. There is an unstated bias in the Constitution for national-level parties to run the Central government. Non-Congress, non-BJP parties have held power at the Centre for less than five of the 71 years since Independence. The first of these in 1977 lasted a mere two years and 126 days; the others did not last even a year. It is obvious that the country could see off threats and achieve significant all-round progress only under firm Central control with parties having a pan-India appeal in power, by themselves, or as the strongest constituents of coalitions at the Centre. The most dismal periods were when squabbling coalitions ran the Central government. Although India is not a federation, the country’s Constitution has, in the Rajya Sabha, ensured a strong forum for the States. It is a tribute to this institution that the NDA, despite having an overwhelming majority in the Lok Sabha, has not been allowed to have its way all the time. Added to this, the Constitution also created a powerful Supreme Court that checks the Central government from arbitrary exercise of its authority. This is about as far as India can go and yet expect to stay together. As Prime Minister, Jawaharlal Nehru most feared the “fissiparous tendencies” that could break India. It was to safeguard against such a possibility that he ensured the Constitution stopped well short of casting India as a federation. Time has shown how right he was.